Eric Andersen (born February 14, 1943) is an American singer-songwriter, who has written songs recorded by Johnny Cash, Bob Dylan, Judy Collins, Linda Ronstadt, Grateful Dead and many others. 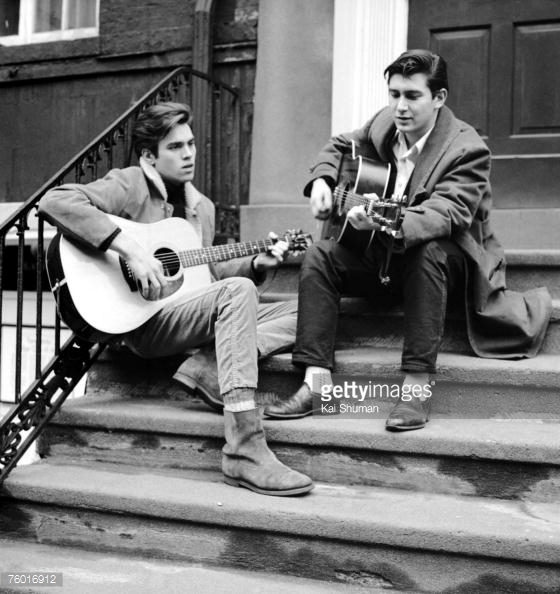 Early in his career, in the 1960s, he was part of the Greenwich Village folk scene. After two decades & sixteen albums of solo performance he became a member of the supergroup Danko/Fjeld/Andersen. Since the late 1990s, he has resumed his solo career. Andersen is still recording and performing live in Europe, Japan and North America. In his lengthy career, Andersen has issued more than 25 albums to which many artists have contributed, including Joan Baez, Dan Fogelberg, Al Kooper, Willie Nile, Joni Mitchell, Lou Reed, Leon Russell, Richard Thompson, Rick Danko, Garth Hudson, Eric Bazilian,Arlen Roth, Tony Garnier, Howie Epstein, and many others. His songs have been recorded by artists all over the world, including the Blues Project, Johnny Cash, Judy Collins, Peter, Paul & Mary, John Denver, The Dillards, Ricky Nelson, Fairport Convention,Grateful Dead, Ratdog (Bob Weir), Bob Dylan, Linda Ronstadt, Gillian Welch, Mary-Chapin Carpenter, Françoise Hardy, Rick Danko, Linda Thompson, The Kingston Trio and Pete Seeger.